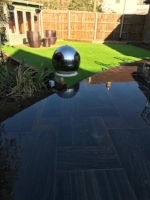 These posts appear far superior to others which we have looked at and the clean smooth finish is definitely a significant factor in the overall appearance of the finished job. Perfect posts, Very heavy but built to last. better than expected and made joining gate to fence easy. 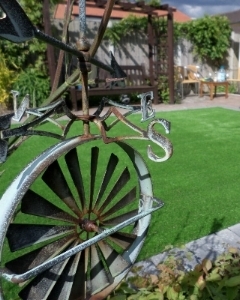 We used to have a yard in Sidcup, Kent but out grew it in 2015 and moved to our new premises in Dartford, Kent. The premises has previously been a primary school, a kindom hall of jehovah witness, a sports trainer warehouse and a debt collectors and now a fencing shop. When installing your fence posts you should make sure that the post is at least 2ft/24 inches in the ground to be sure it will last a long time. We recommend at least 2 bags of post mix per post and 3 bags for a corner post. Concrete Fence posts are the best posts for your new fence as they are maintenance free, long lasting and ideal for use with our treated fence panels to prevent water damage and rot. We recommend you add Concrete gravel boards to separate the fence panel from ground contact to protect against the risk of rot. We also sell concrete corner fence posts. (we recommend 3 bags of post mix for a corner post). If you are installing your own fence take a look at our install guide here for some tips. We also have a team of professional installers if you need you fence erected. you can visit our website here. A well installed fence with concrete post should last you for 20 years and if you do want to change your fence panels in the future you can just slide out the old fence panes out and then slide the new panels straight in. 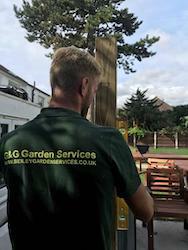 We can deliver your fence posts to all the areas on the side of this page. If your area is not listed please give us a call on 01322-787312 and we will see if we can deliver to you.